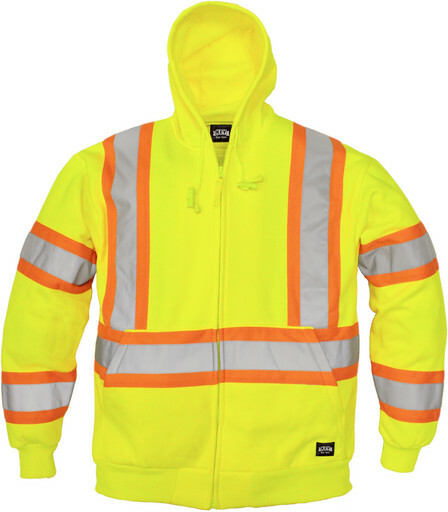 Stay Visible and Recognizable to Others - Secure yourself inside this Hi-Vis Sweatshirt! You're doing a dangerous job - you need protection to stay visible and recognizable to others who could do you very serious harm. This KEY High-Visibility Front-Zip Hooded Work Sweatshirt is a tough, zip-up hoodie that covers you from your waist to your head. Secure yourself inside of this safety sweatshirt.